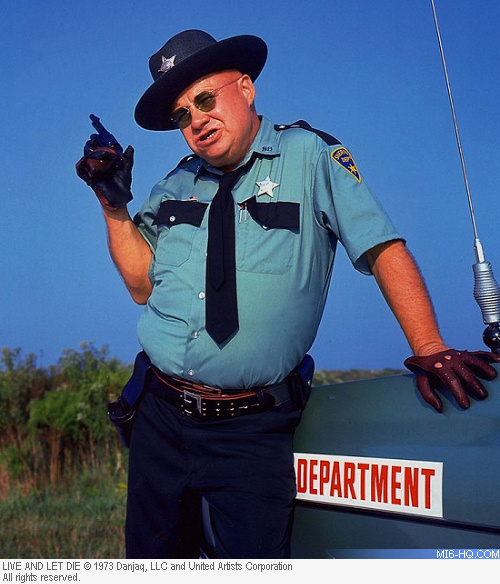 American actor and war hero Clifton James has died at the age of 96. Best known to James Bond fans for his role as Louisiana Sheriff J.W. 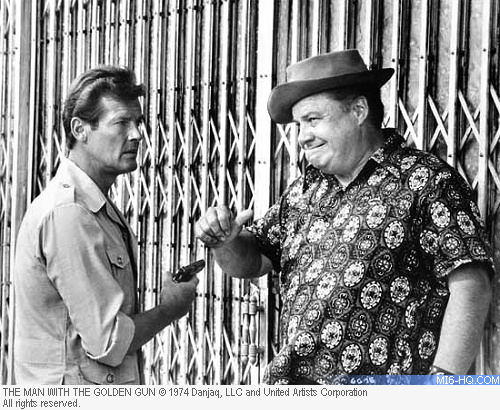 Pepper in 'Live And Let Die' and 'The Man With The Golden Gun', his colourful interpretation of a Southern lawman won him fans around the world. James was born in 1920 in Spokane, Washington but grew up closer to Portland, Oregon. He is a decorated World War II veteran, U.S. Army Combat Infantry Platoon Sergeant Co. "A" 163rd Inf., 41st Div. He served for four and a half years in the South Pacific from January 1942 until August 1945 and was decorated with a Silver Star, Bronze Star, Purple Heart, Presidential Unit Citation, Combat Infantry Badge and six battle stars. After leaving the military, he starting acting in college at the University of Oregon and married Donna Lea Beach in 1948. The marriage lasted just two years. He re-married to Laurie Harper in 1951 and moved to New York to launch his career. As well as his role in Roger Moore's first two outings as 007, James also appeared as a lawman in 'Silver Streak' (1976), 'Superman II' (1980) and 'The Reivers' (1969). His other film highlights include 'The Last Detail' (1973), 'The Untouchables' (1987) and 'Eight Men Out' (1988). 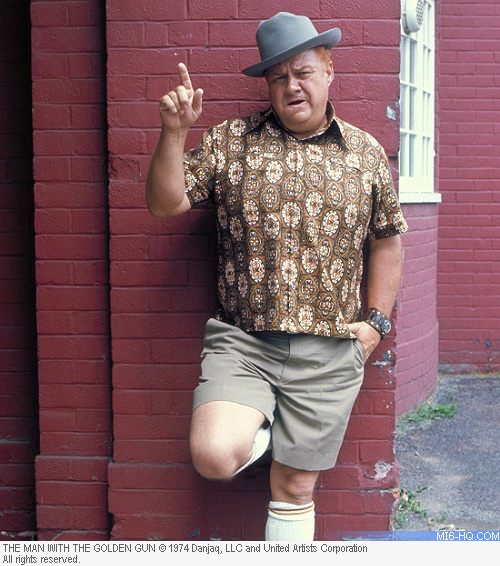 MI6 Confidential magazine had the honor to interview Clifton James for issue #27. It proved to be his last major interview about his role in the James Bond series. "I just thought it was another job. I certainly didn't think it was anything special, I really didn't," James explained of his casting in 'Live And Let Die'. "I wasn't a big James Bond fan. I had only seen one with Sean Connery. Of course, once I did it, I realised it was a big deal!" James has had some mixed feelings about later being stereotyped in the law enforcement roles in film and television. "I've done so many more things that I think are more important but it turned out to be the most famous thing I ever did…and now I am a damn legend! People still stop me and say ‘On whose side?'" James remained a big Bond fan after his two films: "I just saw Daniel Craig in the last one and he was awfully good." After retiring, James lived in Gladstone, Oregon. He did from complications of diabetes on Saturday 15th April 2017 at the age of 96. He is survived by his two sisters; his five children Cory, Winkie, Hardy, Lynn and Mary; fourteen grandchildren and four great-grandchildren.